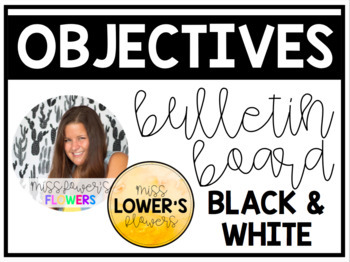 This product contains ALL of my bulletin board objectives/ I can statements products. 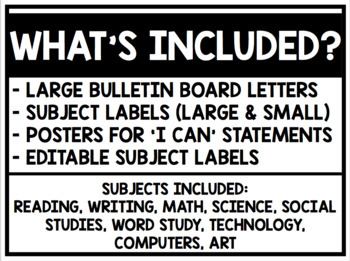 See individual product for a detailed description of what is included. 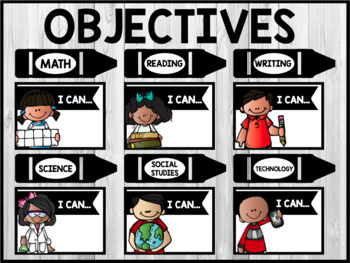 If you are looking for a fun way to post your objectives/ 'I can' statements this resource is perfect for you! This is the BLACK & WHITE version. A rainbow and a pastel colored version can also be found in my TPT.